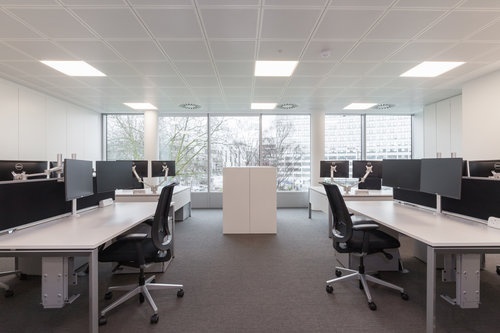 Insightful Environments was invited to team up with design and build company ODB Group to provide workplace furniture services to Solai for their ambitious new-build project in Wembley. 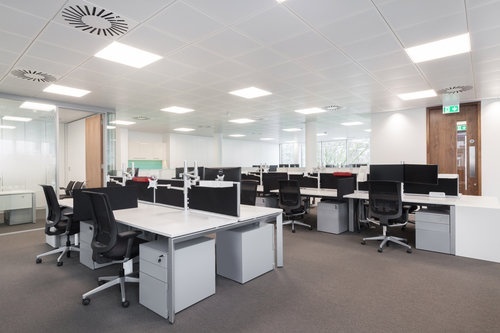 The new, spacious building was to accommodate around 80 people over four floors including an executive top floor office and dining suite. 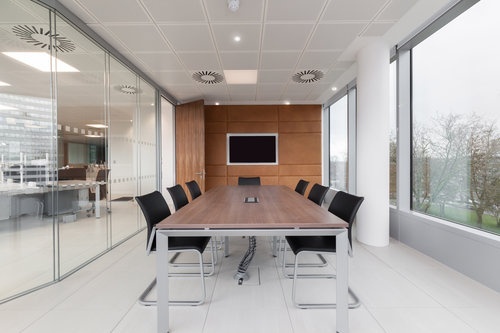 Solai was looking for high-quality furniture and finishes throughout the building to enhance its brand image and create great first impressions for any visiting clients. 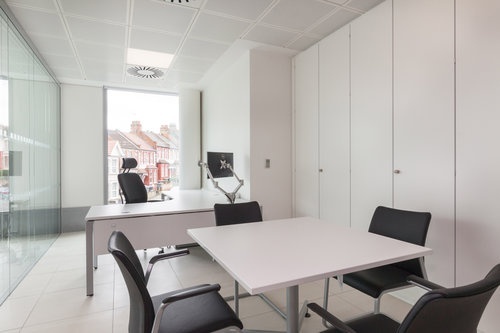 After discussions with Solai to get a real understanding of their aspirations and requirements for the project, we learnt that Solai was looking for a modern, open plan office space with clean lines and high quality furniture backed up by comprehensive manufacturer warranties. 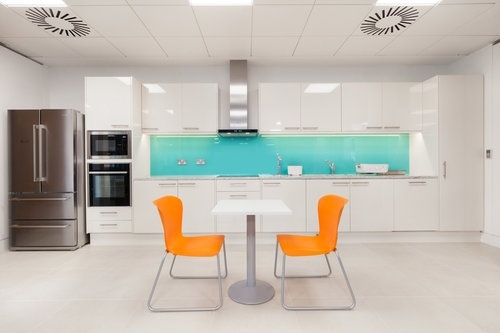 After a series of product demonstrations and tests to sample different products with the client, we specified furniture from a range of manufacturers including Steelcase, Spacestor and Triumph to complement the contemporary architectural design, meet Solai’s brief and fit the floor plan layout provided by architects Barr Gazetas. 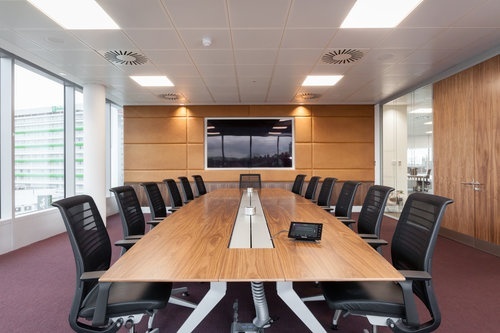 A three-month delay in the building works led to Solai asking us to store the furniture, which we were able to do in our secure warehouse before completing the install in February 2016. 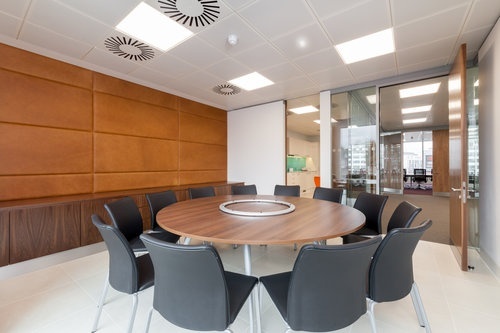 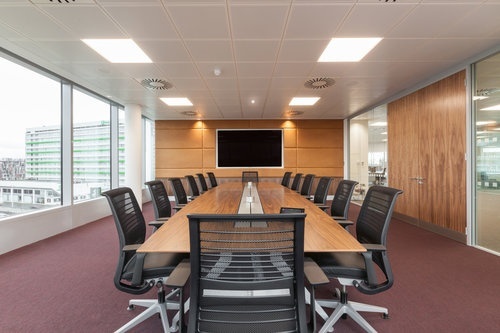 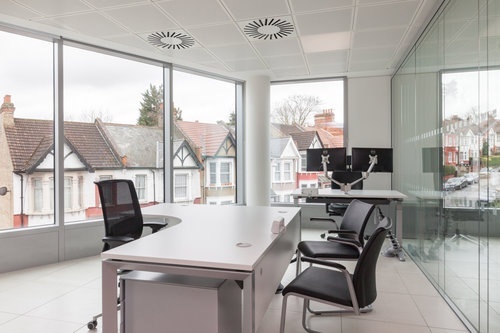 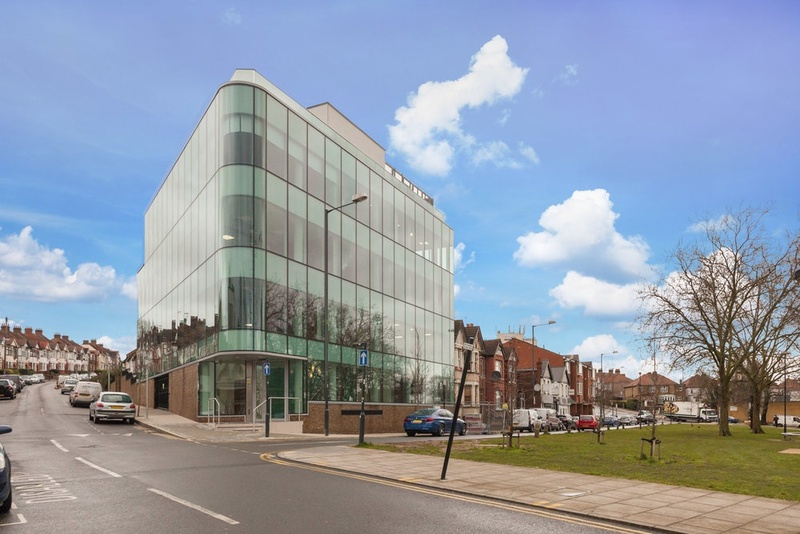 Solai was delighted with the results of the finished office, which now offers a modern workplace with light and clean open workspaces, elegant, well-equipped meeting rooms and splashes of vibrant colour throughout.